Sagging Meniscus Press, 9781944697747, 226pp. Fiction. 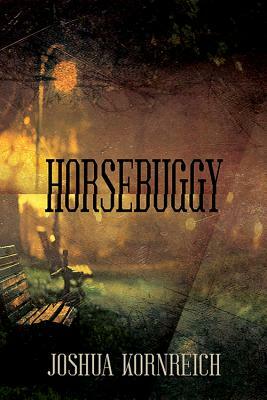 After a nefarious yet revered mayor bans horse-drawn carriages in his city, a reclusive horse-and-buggy driver loses his job, his lover, and his unborn child, as the desolate farm he has lived on his whole life deteriorates around him along with his sanity. But this lone wolf vows revenge. With language lean and lyrical, and humor dark and grotesque, HORSEBUGGY is not only a haunting portrait of what happens when man's capacity for intimacy and acceptance is undermined by his more violent and sadistic impulses, but also a tragic love story and a penetrating study of how we destroy ourselves as much with our moralism and self-righteousness as with our vice and self-indulgence.